DS: So our theme for April was comedy, and I thought yours would be an interesting brain to pick on the subject. CS: I was thinking about it, “What makes a sound funny?” And it’s kind of hard to figure out. Some sounds are funny, like pops…just suction pops, for whatever reason. What makes that funny? I don’t know. The things I learned funny from are: Looney Tunes, Three Stooges, Flintstones… Kind of dissecting it, and even now doing Minions, it’s just “absurdity.” I think something so absurd makes you laugh, like anvil hits. Something hits that’s nowhere near the weight of an anvil, and it makes this ridiculous, “DONK!” It’s funny, I guess, because it’s absurd. DS: The exaggeration of it maybe? CS: Exaggeration, yeah. Something so over the top, that it couldn’t possibly make that sound. That makes it funny. DS: Well it’s always extremely context dependent. You can’t have an audio gag, without the gag being set up. CS: Exactly! To lend itself to this ridiculousness, the sound is somewhat dependent on the visuals. If you just took moments from a film that were funny because of the sound, and you took them out of context, I don’t know they’d be funny. And again, I’m trying to define what is a funny sound. You don’t know what a funny sound is, it’s context driven to a certain degree. Every once in a while I’ll hear a toy that just makes an interesting sound that I think might be funny…because it’s rubbery, it’s malleable and it’s not a real definitive sound. I don’t know if it’s metal, or it’s rubber or wood, it just creates an interesting sound. Then you build it into a context that makes it funny…hopefully. And obviously, it’s a very subjective thing, because what might be funny to you might not be funny to somebody else. DS: Yeah, helping them. And we have to meld with someone else’s sense of humor; their sense of what’s comical. CS: Yeah. Like with Budapest, there were some sounds that were purposefully not high fidelity. They were old, and sounded old, and the idea was to fit in with the period of the film. It’s kind of funny in the respect that, “I can go and record the same thing and make it better sonically,” but it would lose a certain character. And that character is part of what’s making it funny. You know the sound is distorted, and it’s a bad recording. Sometimes that lends itself to being funny. I don’t know if that’s because you know it could be better? There’s a certain sound lexicon we work within. There’s an aesthetic that is either right or wrong. I sit back and I go, “Yeah it sounds like a movie!” If there’s something in there that doesn’t fit, you take it out. Even if it might have been a great sound and you feel like, “Aw that should have worked!” It didn’t, for whatever reason. Part of that is director expectations, audience expectations, and we’re building on what’s already been established. There’s all these films in the history of sound we know sounded a certain way. Star Wars is an excellent example of the lexicon for sci-fi movies. Looney Tunes and Three Stooges for comedy. The sound of you poking your friend in the eye doesn’t sound like it does in The Three Stooges, but that’s part of what make it funny. Sometimes it would be a rhythmic thing. I’m thinking of when they’re up in the gondolas, and there’s this swaying sound of it going up and going down. There’s this whole absurd thing that’s going on on screen, and this swaying of the gondola is in tune and rhythmically tied to the music…and the way the film is cut just makes the thing funny. So rhythmic can be funny, because it’s not necessarily in sync. The fact that you’re intentionally cutting it out of sync to maintain the rhythmic element, because it’s the sound, the music, or both…that’s funny. DS: What about, when you’re starting on a film. You get the script from the director and you’re just starting to talk about things. You can kind of make out where the gags are in the script, at least some of them, but what’s that conversation like. How do you feel out those moments early on? CS: Usually they have some kind of idea in their head as well. Sometimes they’ll attempt something in their initial cut, and other times they won’t even try. “We want this to be goofy and over the top.” Maybe there might be an animal or some creature they’re creating, and they want it to be goofy. Let’s try and use some animal sounds. Let’s try and use some human sounds that are performance based, and see what we can come up with. That’s a little bit of throwing spaghetti at the fridge and seeing what sticks. With anything, you have your own aesthetic of what you think is funny. There are certain sounds that are gonna work better than others. Sometimes it’s a gag, and sometimes you’re just going for something humorous…rather than outright funny. DS: Something that tickles the brain, as opposed to causing a guffaw? DS: if you can actually find a way to record them when they’re doing it. CS: [Laughs] That’s right! Something happening off screen creating a whole other sequence that’s going on. You never want to take away from what’s happening on screen, but if you can add to it…by doing something in the room, or outside, because the story is dictating that…you can do some pretty funny things that lend to the humor of the moment. DS: Well that’s half the trick, right? It’s not just the sounds that you pick and the context they’re in, it’s how they sit against each other in the mix. CS: Right. I was working on Whip It, and there was this sequence…the house party. We were trying to figure out what else was going on in this full party that could be funny? They’re inside, and they end up outside, so I put a bunch of firecrackers going off. It just kind of added to the mayhem of the party. The picture editor said, “I was gonna ask you to cut firecrackers!” We were both just trying to think, “What can you add, but don’t see?” It’s a bunch of late teens, early twenties people, at a party drinking in a house in Texas. DS: What kind of trouble would they get into? CS: Yeah…and that would seem real, and not totally fabricated. You can totally see some guy setting off firecrackers. It’s not funny by itself, setting off firecrackers, but in the context of what’s happening…there’s always that one guy! He thought it was funny. Nobody else did, but it could totally happen. DS: Then here’s a question. Did you know that guy when you were a teenager? CS: I did! Yeah! There was a firecracker that blew up very close to me, because we were throwing fireworks back and forth at each other. We thought it was a good idea at the time, for some reason. So, yes. DS: So does that become fuel for the creative fire? Looking back at this stuff, “Yeah, that was really dumb! I can laugh about it now, in hindsight, but that was really dumb!” Does that become part of the tool bag? CS: Yeah. It’s never as good as the candid stuff. So I have a bunch of files of people yelling that have no idea I’m recording. Just trying to find those moments, because people are funny more than anything…especially when they don’t know they’re supposed to be. CS: Johnny. Johnny would have done this. You’re constantly drawing from life experiences. So the film has to dictate, to a certain degree. DS: So that might be one of the tricks for comedy. Everyone thinks, “Oh it’s just comedy. It’s easy…just a little bit of slapstick here, some over the top there…” I feel that doing a comedic scene well, requires more introspection and self-reflection on past experiences than creating a monster, or dialog design. There are some nuances to sound design for comedy that other types of sound design don’t require. CS: I would agree with that, because it’s such a subjective thing. It’s not gonna be that funny if you’re doing something overtly to get a laugh. If you’re weaving it into the story in a way that’s a surprise, that’s certainly a challenging thing. Finding moments for funny-ish type sounds…you’ve gotta work with the director on that. That’s a tough one. There’ve been times when I thought I was being funny, and the director is like, “Just lose all that stuff. We don’t need it.” On Budapest, Wes [Anderson] always has a very clear idea of what he’s trying to accomplish. He’ll rein you in for sure, but then also ask about trying to add something to a scene. Once the director’s on board, that’s when you can really play it up. Start building it up across the music, dialog and effects to build this big slapstick feel. But not every film has that. Minions, for instance, calls for it. You set these polar opposites, and then just do goofy stuff as well. It’s the idea that things need to be fun. They don’t always have to be funny, but they have to have a whimsical quality…or light heartedness. That might not necessarily be funny, but they’re in line with the feeling of the movie. Some of the gadgetry, or certain creatures…I’m actually gonna be referencing some of the Despicable Me stuff now… There is a scene where the minions are fighting. Watching this sequence, we were laughing our asses off. Everyone was laughing. But then Chris [Renaud] the director says, “You know, I think it’s just too violent.” We had a discussion where we all thought the scene is hilarious, but we’re adults and this just might be too violent for kids. Even though this couldn’t happen in real life, these two minions fighting and slamming each other, where do we find the balance in it? Where is it funny/slapstick, and where is it violent? What’s going to keep it fun? DS: So you’re relying on the director to tell you when the scene is working. CS: Yes, but I’m making the design decisions to present to the director. Even when something is working, you still have to know your audience. Mothers might think this bit is too violent, or whoever! You want to keep a certain feel of…light heartedness. When you’re cutting an action movie, you’re thinking in terms of “trailer.” Just make this thing as big and dynamic and…cool, for lack of a better term…maximum sonic impact. I think when you’re doing something that is more fun, it’s not about trying to make it sound as impressive as you can. It’s about finding the right tone. DS: As you were talking about that, I started thinking about some black comedies that I’ve seen…like In Bruges. I dont’ know if you’ve seen that one? CS: Yeah that one was great! CS: They kind of used their atmosphere. There was something with church bells I think, that was pretty funny. I haven’t seen that movie in a while. DS: It was still fun, but…I mean…black comedies don’t exactly present themselves as whimsical or light hearted. So that’s a bit of a contrast to what we’ve been talking about. CS: That’s a good point, and it goes with what the tone of the movie is. You have to work within the constraints of the movie, and there might be things that happen sonically within the town. Maybe a certain bird or animal that always happens at the wrong time, and brings a certain humorous element…black humor or whatever it is. That’s what makes it so hard to put your finger on what makes something funny, because funny can be dark, at times, or light-hearted. Funny is the opposite of…something terrible, but you need humor even in the darkest times. You need to be able to laugh, and sometimes that shows itself in the oddest places. So it’s an interesting thing to try and nail down. Hi. I’m JT Green, a HUGE Skysound fan. What a great sound editor you are, Scarabosio! I think your work in sound editing is superior — I remember hearing awesome sfx in Young Indy when I looked for Skysound stuff on YouTube on 5/28/11, and a collection of whielm screams led me to that stuff. Sound Editing on Phantom Menace, Titanic, Hellboy, Titan A.E. and Volcano are quality choices, and so are Armageddon and Clone Wars: Shades of Reason (the bank exploding, particularly). I wonder if you’d work on Family Guy and Gravity Falls in post-production sound, and I love your sound design on Despicable Me series and Zoom (which I heard via syndie prints by 20th TV on Peachtree TV in June 2011). Finally, I just found out that you were a sound effects assistant on Gumby Adventures (Skywalker did audio transfers on it)! P.S. I emailed a longer introduction of myself to you about my love of Skysound, in case you’re interested. Hi. JT again: There’re a lot of great sound design elements in Minions that I love – everything from the Warner Bros. & Hanna-Barbara whistles and clangs to the Disney gulps. A simple grenade makes that little “fwoo!” sound and explodes with that “pa-ch-oo-k” sound (beyond +12 semitones); a projectile makes the generic firework whistle and sorta plays in reverse, just like it did in “Threads: A Pond full of Pigs” when they all fly out of the pond and fall back down, playing the firework sound in reverse. The AT-AT thuds for Kevin’s big feet, that ricochet when the windows break a little earlier, the Hanna-Barbara whistle and Warner Bros. clang to indicate a dropping anvil, the bell toll of ice hitting a monster’s head in a very cartoon-y fashion (a particular favorite of mine), a penguin quacking, bird card’s heart, bending sword, Bob’s long legs making that cable sound I assume was invented for Jurassic Park, butts squeaking and honking, electrical sounds and explosions… all my favorite stuff. I’d love to do an article on the sound for this particular movie and examine the elements of the aformentioned sounds. 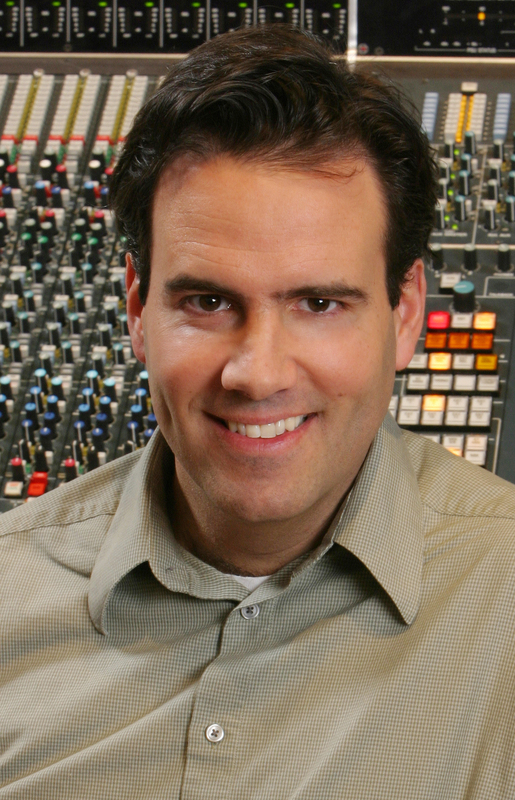 You’re among the top 5-10 of sound editors and a great sound designer. P.S. is the particular moment where “everyone was laughing”, regarding “violent” sounds, when the Minions mess with the computer?